William Reger is a Senior Anti-Money Laundering (“AML”) Compliance Manager with Western Union Business Solutions, a business unit of the Western Union Company (NYSE:WU). In this role, William supports business teams with understanding the regulatory complexities with expanding into new markets in Latin America, Caribbean, and the Middle East. 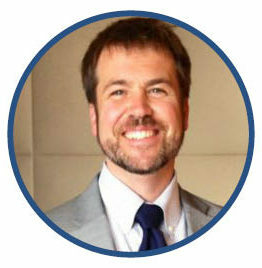 With over 13 years of experience in managing and building global compliance teams in the United States, Canada, and Europe, William has a strong foundation and knowledge in international AML regulations, Government and Economic Sanctions requirements, and in performing Know Your Customer (“KYC”) and enhanced due diligence reviews on non-governmental organizations, corporations, and financial institutions. Prior to Western Union Business Solutions, William served in senior compliance roles at American Express, and Western Union; and holds Masters of International Business from University of Denver, Daniels College of Business, professional Certificate from Massachusetts Institute of Technology in FinTech, Bachelors of Science in Anthropology from Appalachian State University, and is a certified Anti-Money Laundering Specialist (“ACAMS”).